The Whittaker group at UQ has published a report on applying highly sensitive fluorinated polymers for targeted in vivo detection of breast cancer in ACS Nano. 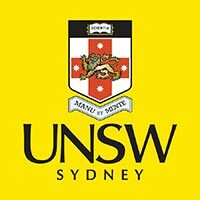 The paper is titled High F-Content Perfluoropolyether-Based Nanoparticles for Targeted Detection of Breast Cancer by 19F Magnetic Resonance and Optical Imaging and is co-authored by Dr Cheng Zhang, CBNS alumna Ms Shebbrin Moonshi, Dr Hui Peng, CBNS CI and UNSW Node Leader Professor Justin Gooding as well as CBNS CI and UQ Node Leader Professor Andrew Whittaker. Two important challenges in the field of (19)F magnetic resonance imaging (MRI) are the maintenance of high fluorine content without compromising imaging performance, and effective targeting of small particles to diseased tissue. To address these challenges, we have developed a series of perfluoropolyether (PFPE)-based hyperbranched (HBPFPE) nanoparticles with attached peptide aptamer as targeting ligands for specific in vivo detection of breast cancer with high (19)F MRI sensitivity. A detailed comparison of the HBPFPE nanoparticles (NPs) with the previously reported trifluoroethyl acrylate (TFEA)-based polymers demonstrates that the mobility of fluorinated segments of the HBPFPE nanoparticles is significantly enhanced ((19)F T2 > 80 ms vs 31 ms), resulting in superior MR imaging sensitivity. Selective targeting was confirmed by auto- and pair correlation analysis of fluorescence microscopy data, in vitro immunofluorescence, in vivo (19)F MRI, ex vivo fluorescence and (19)F NMR. The results highlight the high efficiency of aptamers for targeting and the excellent sensitivity of the PFPE moieties for (19)F MRI. Of relevance to in vivo applications, the PFPE-based polymers exhibit much faster clearance from the body than the previously introduced perfluorocarbon emulsions ( t1/2 approximately 20 h vs up to months). Moreover, the aptamer-conjugated NPs show significantly higher tumor-penetration, demonstrating the potential of these imaging agents for therapeutic applications. This report of the synthesis of polymeric aptamer-conjugated PFPE-based (19)F MRI CAs with high fluorine content ( approximately 10 wt %) demonstrates that these NPs are exciting candidates for detecting diseases with high imaging sensitivity.